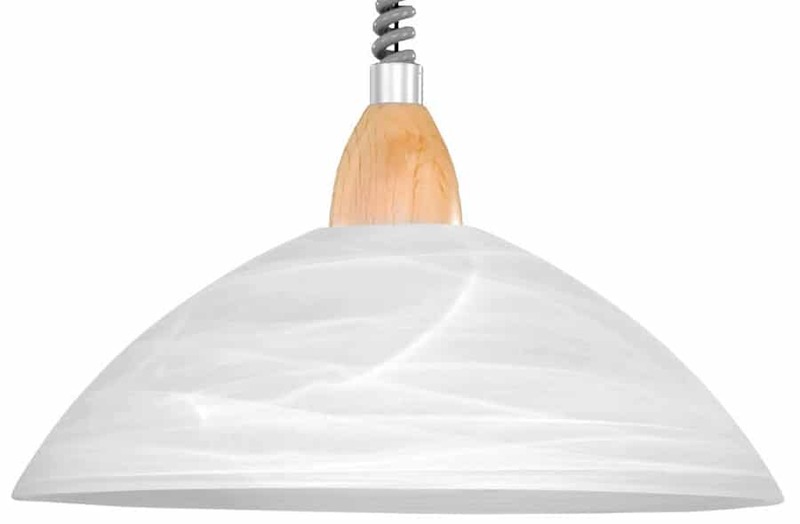 The Lord classic alabaster glass curly flex rise and fall light, with a 36cm white alabaster glass shade, grey coiled flex and satin nickel finish ceiling mount. Simply pull down to the maximum 110 cm drop when in use or push up close to the ceiling when required. This rise and fall pendant uses a friction motor concealed in the housing that allows you to position it anywhere in between maximum and minimum to suit your activity. 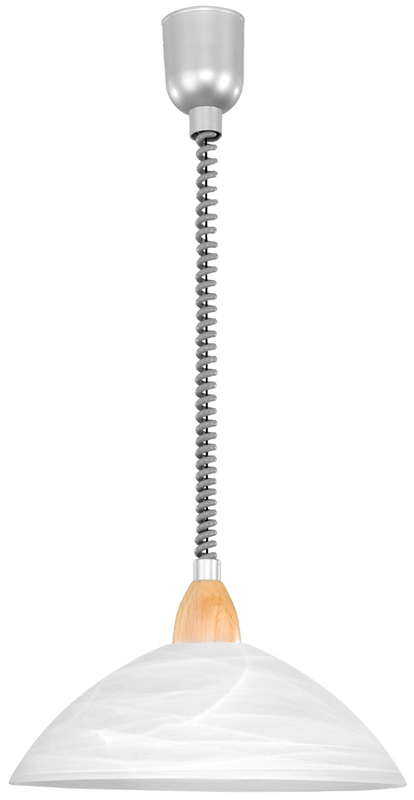 An attractive functional up and down light that would look right at home in a cosy kitchen or dining room. Part of the Lord 2 indoor light range. Double insulated, no earth required. how much can the light pull down from fitting to celling. Hello Tony, many thanks for your question. This light can be adjusted between a minimum of 500mm to a maximum of 1100mm. Kindest Regards, John.